Paying for the privilege of not eating | Save. Spend. Splurge. Woman 1: Is this what you were talking about? Woman 2: Yes! Agar agar flakes. This stuff is GREAT for when you’re fasting. It totally cleanses you out. Note: It’s a type of gelatin, used to thicken things. Woman 1: So you eat it? Woman 2: Yeah, to feel full while you’re fasting and it totally cleans you out. Woman 1: Hmm interesting! I’ll buy some. How much do you eat? Woman 2: A pack or two per “meal” as you’re fasting. You can do a juice cleanse too. I checked the prices before I left and it was $8 for a small pack, so assuming one pack a ‘meal’, you’re looking at $24 a day plus taxes. $24 a day plus taxes, for the privilege of NOT eating food. That works out to $720/month (plus taxes) to NOT eat. 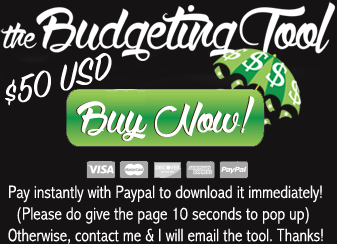 I spend about $200 – $400 (maximum) a month for eating organic and/or fancy foods, and a LOT of it. I can’t imagine spending $720 on non-food items! I THOUGHT A FAST MEANT YOU DIDN’T EAT = FREE!? I thought the whole point of a fast was not to eat… at all, and this a great result of that, would be that you don’t spend any money on food… right? Instead, it’s probably costing MORE money to do a fast, than to just eat less or only veggies/fruit. It also made me think of other programs that celebrities check into to get fit and lose weight, charge you exorbitant amounts of money to NOT feed you anything but boiled carrots and cabbage. And to think there are people out there in the world who aren’t fasting (read: starving) by choice. I don’t know about you, but I’d probably start eating table legs and chewing through doors if I tried to go on a self-imposed fast or cleanse. ← Are single women too successful and intelligent to find love? 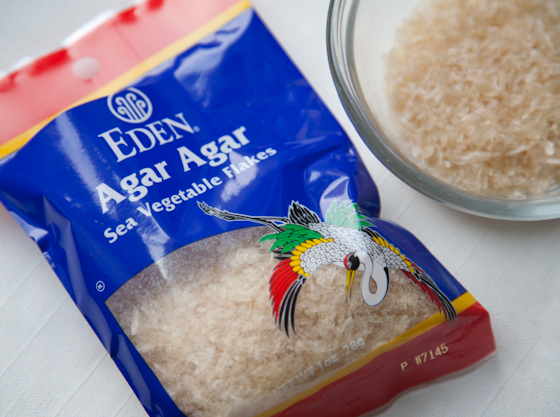 We eat agar agar in Indonesia…it’s seaweed. I have heard of women going on these diets, but it’s a lot cheaper back home! My favorite are from the Swallow brand, and it comes in powder form. Mix it with hot water, suger, let it cool, put it in the fridge, and you have yourself some hard jelly! It’s super good. I see it more as a dessert though…not a diet product! They said it was purely to make them full so that they wouldn’t have to have any food cravings while cleansing…. I am so confused by this. You can’t slowly reduce your caloric intake to train your body to expect less over time and, I don’t know, use calorie-free liquid (hello water) to supplement for a full feeling? You have to .. buy … this stuff? Hahahahha yes!!! At crazy prices too!!!! Good point. I never thought about that!! Lol, I laughed reading this. You’re so right, you’ve hit the nail right on the head. I’m also snickering at the fact that they’re not eating solids, and instead they’re adding vegetarian geletin to their drinks to make them….solid? This is too funny. I feel like they were eating it like cereal….. I do believe they are missing the whole point of the fast.